The attempt to demonstrate such a mastery of metaphor as Aristotle describes did not only find expression in the arts of rhetoric and dialectics, or in the parables of Jesus – indeed in the sacred religious scriptures of almost all cultures. It also found expression in lost genres of everyday speech – which in turn were echoed in great poetry and literature such as that of Shakespeare, whose vividly metaphorical character was no mere exceptional literary device of an author, albeit employed with genius. As Lakoff and Johnson have shown, language is pervaded through and through by metaphor, not least bodily metaphors, both on the level of everyday discourse and also of scientific language and terminologies. Yet despite the fact that language can be said to be metaphorical in its very essence, a literalistic understanding of language has become so pervasive that metaphor is seen as a mere decorative, ‘literary’ or poetic ‘use’ of language. Few see that the languages of ‘the sciences’ are also pervaded through and through by metaphor – for example the idea of ‘waves’ of light or quantum ‘packets’ of energy. Yet what remains unseen is how even the most elementary prepositions such as ‘in’ and ‘out’ employed in both everyday language and scientific propositions are themselves metaphors derived from experiencing (for example ‘He has a pain in his shoulder’ or ‘mammals developed out of reptiles’. Similarly, to speak of events occurring in time, or of a ‘point’ in time at which the space-time universe ‘began’ (the ‘Big Bang’) is to apply spatial metaphors to the temporal. And to speak of ‘grappling with an idea’ or ‘grasping’ a concept is – as is so often the case – to invoke a metaphor associated with bodily experiencing to describe a supposedly abstract ‘mental’ process. As well as bodily metaphors, it is also technological ones which play a key role in shaping the language of the sciences. Thus without the industrial-technological language of mechanics and electronics we would not be able to speak of psychological phenomena using a mechanical metaphor such as ‘stress’ or electronic ones through which one speak of the ‘hard-wiring’ of the brain. Such metaphors confirm Heidegger’s understanding that, far from being a mere ‘application’ or ‘product’ of the sciences, the latter are inseparable from the development of new technologies and their products. Finally, without metaphors derived from ways of speaking about language itself, geneticists would not be able to speak, for example, of the ‘expression’ of genes. Though all language is metaphorical in its very essence, today’s blindly and deafly literalistic understanding of language in the sciences – not least in medical science – constitutes an epochal change. It also constitutes an assault on what Fiumara calls the metabolic function of metaphor in processing human experiencing. Thus the child she refers to who says to her mother that “an elephant is stamping on my ear” is seen as merely using fanciful ‘childish’ metaphors in place of a literalistic and thereby also ‘adult’ recognition of ‘having an earache’. Similarly, when adults speak metaphorically of feeling ‘distant’ or ‘close’ to someone, ‘warm’ or ‘cool’ towards them, or of being in a ‘heavy’ or ‘black mood’ in contrast to a ‘lighter’ or ‘brighter’ one, we take such sensual language as merely metaphorical rather than as a most direct expression of their own lived bodily experience of self and other. If however we are to become ‘masters’ of metaphor and to master a fundamentally new metaphorical understanding of language as such – and with it of ‘thinking’ as such – we must first of all examine the ‘metaphoricity’ hidden in the very words ‘metaphor’, ‘language’ and ‘thinking’ themselves. Otherwise we fall into the ever-present danger of re-introducing literalism and reification – for example by assuming that just because we have such a word as ‘metaphor’ there is some agreed and already understood ‘thing’ corresponding to this word, or to the words ‘language’ and ‘thinking’. The word ‘metaphor’ derives from the Greek metaphorein – meaning to ‘bear across’. Its metaphorical usage came from the specific interpretation of this root meaning as a ‘bearing across’ of a meaning. This metaphorical meaning and use of the word ‘metaphor’ alone suffices to show its significance – for ‘to bear across a meaning’ is precisely how we understand the meaning of communication as such. For the early Greeks as described by Homer, however, it was not just words that were experienced as communicatively ‘bearing across’ meanings – so also were what we call ‘things’ themselves. Thus a lightning bolt would not just have been ‘thought of’ but also experienced by the early Greeks as bearing across a meaning – specifically as a message or sign from Zeus. Similarly, a propitious wind was experienced by Odysseus as helping not just to bear his vessel across the seas but also and above all as a message of support and sign of the benevolent working (ergon/energeia) of a goddess. It is in this context that when the philosopher Martin Heidegger came to ask the question and write his famous essay entitled “What is ‘a thing’?”, he drew on the root meaning of this word as a ‘communal gathering’ (Ding) to speak of all things as a fourfold ‘gathering’ – of earth and sky, gods and mortals. Today we understand speech and language merely as ways of thinking or talking ‘about’ things. In earlier cultures however, things themselves – a particular mountain for example – were experienced as speaking to and/or giving important signs to people. This is something we only dimly recall today on exceptional occasions – as when we are infused with a numinous sense of wondrous meaning by a wonderful mountain vista, or take fire and clouds of ash rising from it as a sign – albeit not of or from a god or being, but merely of ‘volcanic activity’. As for the word ‘language’, its own ‘metaphoricity’, as with so many words, is drawn from a part of the body – the tongue (lingua) in particular. But if we then rest with the unquestioned assumption that the word ‘tongue’ merely denotes some fleshly body part, what are we to make of talk of ‘angels’ who speak in ‘tongues of fire’? Is this ‘mere’ metaphor based on the fleshly tongue? Or could it be that the fleshly tongue is itself a living biological metaphor of ‘metaphoricity’ in its deeper sense – being a medium for the ‘bearing across of meanings’? If so, then Lakoff and Johnson’s conclusion that in essence linguistic metaphor is drawn from or rooted in the bodily experiencing of self and world must be turned on its head. By this I mean that the human body must itself be recognised as a ‘metaphorical body’ – serving to breathe, metabolise, body forth and ‘bear across’ the human being’s lived experience of themselves and their life world in the same way that language does. In other words, it is not that language has its root in bodily experiencing. Rather both bodyhood and language serve to give form to and ‘bear across’ modes of experiential awareness, revealing their innate meaning-full-ness. On a more fundamental metaphysical level, what if, as Seth claims (see Appendix) that all things or ‘objects’ are just as much symbols as words are? What if what science thinks of as ‘matter’ in all its forms, biological and otherwise, is itself a dimension of meaning made manifest i.e. not a primordial ‘substance’ of any sort but, in tune with the root meaning of the word, a primordial matrix of actual or potential meanings that is the mother (mater) of all ‘material’ things – with each such ‘thing’ serving to disclose or ‘bear across’ a specific sensual shape and form of meaning or ‘sense’ (just as a specific word or utterance might do)? This would explain also why it is that in almost all religious traditions the natural or ‘material’ world was thought of as something spoken or uttered into existence, not through an egotistic command such as ‘Let there be Light’ but in the same manner as meaningful sounds take shape upon the tongue and are borne across the breath. In this context, the modern term ‘psychology’ can be said to have successfully obliterated all traces of its metaphoricity, being generally taken today as a mere technical term denoting a specialist science. In its forgotten root sense however, it refers to the logos or ‘speech’ of the soul or psyche itself – and no mere theorising academic or scientific discourse ‘about’ it. The importance of ‘etymology’ in understanding the intrinsic ‘metaphoricity’ of language is no mere matter of philological interest. For what the very term ‘etymology’ means in its own root sense is nothing less than ‘the truth of speech’ (etymos logos) in its broadest, deepest and most essential sense. This in turn has profound implications for our understanding of what we call ‘thinking’ and its relation to speech and language. For it means we can no longer reduce our understanding of what ‘thinking’ itself most essentially is to some mere ‘mental’ use of language to ‘re-present’ in words what we have already and simply assumed to be a world of pre-named and pre-given ‘things’. This is what might be called a literalistic understanding of thinking itself – one which is profoundly challenged and subverted by understanding the metaphorical character, not just of language and words, but also of things themselves – understood, metaphorically as a language. The idea that ‘mind’ and ‘thought’ might have a bodily dimension has today been reduced to an almost total identification of mind with the brain – an identification which leaves wholly unexplained how consciousness as such can arise from what is seen as the essentially insentient ‘grey matter’ of the brain. The relation of ‘mind’ and body is thereby reduced to a mere relation of one part of the body – the brain – with all others. On the other hand, the fact that we speak of someone ‘holding’ a particular intellectual or mental ‘attitude’ or ‘position’, and of using thought to ‘get a grip on’, ‘grasp’ or ‘handle’ particular concepts or questions already ‘bears across’ a recognition that the realm of ‘mind’ itself belongs instead to a deeper more primordial dimension of bodily activity and awareness – one which also bears itself forth in our entire bodily attitude, posture and comportment. Hence Heidegger spoke of “the bearing of thought” (die Gebärde des Denkens) in general, and particularly of its “handicraft” – the way in which this bearing bodies itself in a more or less aware, meaningful, mindful, meditative or skillful use of the hands. The hands are also of course a medium of contact with both things and other beings – or rather a way in which such contact, whether with God or another human being, is sealed – for example through a gesture of prayer, a meditation, a handshake or salute, or, in the yogic tradition, different meditation configurations of the fingers and hands known as mudra or ‘seals’ – in this case designed to seal a state of consciousness. Essentially however, the use of the hands is one way in which, as human beings, we bear and body forth the sensually tactile dimension of awareness as such – for we cannot actively touch and feel something with our hands without at the same time being touched by it – feeling its sensuous character. Touching and being touched, i.e. ‘feeling’ as a sensuous activity and feeling as a sensuous experience – being in this way essentially inseparable – cannot in any way be severed into a relation between a separable feeling ‘subject’ on the one hand and some felt ‘object’ on the other. Nor is the intrinsically tactile dimension of feeling awareness embodied only through the use of our hands – otherwise we would not speak of ‘handling’ somebody more or less ‘tactfully’ or being in greater or lesser, deeper or more superficial ‘con-tact’ with them in a way that did not refer to any use of the hands or to any type of outward bodily ‘touch’, ‘contact’ or ‘handling’ at all. The entire way we ‘think’ and understand ‘thinking’ hinges on what sort of relation to language and speech lies behind and guides that ‘thinking’ – a ‘literalistic’ or a ‘metaphorical’ one. If the latter, then, in order to ‘think’ at all, we cannot employ any words as if their meaning was just some pre-given and ‘literal’ denotation of some pre-given ‘thing’. Instead we must ‘bracket’ every single word we use in formulating a proposition or even a question and instead learn to listen to and question more deeply even the most common and taken-for-granted words we might employ in couching and formulating both our questions and answers. This includes the verb ‘to bear’ itself. Thus we cannot speak of “the bearing of thought” or use such expressions as to ‘bear across’ to translate the root meaning of ‘metaphor’ as metaphorein without ‘bearing in mind’ the uses and root meanings of the word ‘bear’. Such uses include expressions such as to ‘bear’ or ‘bear up’ to something (a difficult situation or state of pain for example), to be ‘bearing’ something in the form of carrying it (a weapon or child in the womb) together with the Proto-Indo-European root meaning of the word – meaning to give birth – and in this way bring a being ‘into view’ for the first time. The type of ‘thinking’ required of such “thinking physicians” is precisely the one he describes as a mode of listening – one that brings something previously unheard to view and thereby enables us to ‘see’ it in a way not reducible to visual perception. Such a thinking must necessarily be based on a new understanding of the relation between ‘mind’ and ‘body’ – a relation now freshly understood as a relation between language and life – not least bodily life. Yet one can already begin to become such a “thinking physician” by merely attending to the hidden truth of the term ‘biology’ itself – now freshly understood in its root sense as the very ‘speech’ (logos) of ‘life’ (bios). For the way in which our lives themselves speak to us and touch us inwardly finds expression in both language and the life of our bodies. Such talk is not ‘mere’ metaphor. Instead it is a clue to both the bodily metaphoricity of language and the linguistic metaphoricity of the body. Yet if one cannot ‘read’ the connection between verbal metaphors drawn from the body – for example expressions such as a ‘broken heart’ or ‘loss of heart’ – and what medicine designates as ‘heart failure’, then there is no way in which the heart as an organ, heart functioning, heart failure or disease can themselves be understood as a ‘biological metaphor’ of life itself. That is why awareness of metaphor as the ‘missing link’ between illness and life challenges us to enter into an entirely new relation to language – one through which we become open to its innate metaphoricity. In the context of medicine however, this challenge is made difficult from the very start by the fact that even a simple word such as ‘heart’ – despite the many metaphorical figures of speech that make use of it – is taken first and foremost in a literalistic way, as denoting some specific anatomical and fleshly organ. The result is an entire field of medical science known as ‘cardiology’ which conceals the very genesis of its own name in Homeric Greek language – where the original meaning of kardia had, as Julian Jaynes explains, nothing whatsoever to do with either an anatomical organ or a source of emotional ‘feeling’ contained ‘in’ the body or psyche, but referred instead to an experienced sensation of quivering and excitatory motion – in other words the pure sensation of what today we would call ‘emotional’ experiencing. It is surely noteworthy too, than in both the Old and The New Testament, as well as in Indian theological scriptures, the word for heart is never used to denote a specific anatomical organ, let alone one that is merely seen as some sort of biological pump. Instead all references to the heart in Hebrew, Greek and Sanskrit referred either to the realm of emotional experiencing and/or to the divine essence of self and to the seat of the divine in the body. In other words, the word for ‘heart’ was only used in what today we would see as a ‘metaphorical’ sense. It would be a huge mistake to conclude from this however, that what the much later development of medical anatomy came to perceive and understand as the heart as an anatomical organ was in any way the ‘real’ source of this earlier metaphorical use of the word heart. If anything it is the other way round – for even medical science recognises today that emotional states of the sort that, like expressions such as ‘broken hearted’, are couched in ‘the language of the heart’ are ‘borne across’ and thereby find metaphorical expression in the functioning – or dysfunctioning – of the heart as a biological organ. In other words it is not the fact that certain expressions make use of the name of a bodily organ that endows them with metaphoricity. On the contrary, it is what we now perceive only as biological organs and their functions that are themselves a living biological metaphor of the subjective states described in expressions such as ‘broken hearted’. Different perceptions and experiences of what constitute ‘the heart’ are just one example of this. One could also question how regions of the body such as ‘head’ and ‘belly’ are perceived. For in the context of today’s ubiquitous media propaganda for ‘brain science’ for example, what are we to make of traditional Japanese culture and language – in which to speak of someone as ‘thinking with their head’ constituted a pejorative judgement – if not an outright insult – and where in contrast to the Western dualism of head and heart, mind and emotions, it was the lower abdomen or hara that was felt and regarded as both the spiritual and physical centre of gravity of the human being, as the very seat of our innermost self, as the key source of strength and confidence in both life and martial arts – and as that region in which we most truly ‘think’ in the deepest sense – not through reason alone but through patiently and meditatively ‘digesting’ our lived experience? This process of digestion was felt as occurring in the abdominal region of the inwardly felt body – what Deleuze and Guattari call ‘the body without organs’(BwO). Hence the fact that committing harakiri meant painfully disembowelling an enormous length of convoluted intestinal flesh was not in any way central to this ritual act. Yet surely, it will be retorted, our ‘physical’ body and its organs, being visible objects of sensory perception, must be regarded as more essentially ‘real’ than our inwardly felt body and any forms of subjectively experienced spiritual, emotional or cognitive capacities experienced through this ‘body without organs’? This rejoinder however, forgets that sensory perception as such has itself a metaphorical character. For in reality we do not see any such ‘thing’ as ‘a heart’ or ‘a stomach’ or ‘a liver’ any more than we perceive any such thing as ‘a kettle’ or ‘a bicycle’. Or rather the little word ‘as’ in the last sentence is the giveaway. For we can perceive some piece of equipment as ‘a kettle’, as ‘a bicycle’ only by virtue of the use we know we can put to it and the function it can perform for us. Similarly it is only through the development of clinical anatomy that we now perceive what we call ‘the heart’, ‘the liver’, ‘the lungs’ etc. as mere fleshly biological organs serving purely biological functions. The key point here however is that perception as such is essentially experience or perception as, and thus is itself intrinsically metaphorical. Through the reification of language on the other hand, literalist thinking forecloses the limitless different modes of perception ‘as’ that constitute the very foundation of this metaphoricity in both language and lived experience. This is what has led to the modern, medical-scientific outlook – which regards the body as a clinical object – the body as perceived, examined or scanned from the outside – as more ‘real’ than the body as felt and experienced from within. The vast ‘bodies of knowledge’ accumulated by medical science have their own validity, and yet they are in no way rooted in our own subjective experience of bodyhood and our own immediate bodily knowing. And the biological sciences can only get away with their claims to an ‘objective’ account of the body and its organs through a concealed form of anthropomorphism of the sort normally associated with religious languages and imagery. This anthropomorphism is concealed in the almost universally unquestioned assumption that our human perception of reality, including the human body, its internal organs and its outer environment, is something ‘objective’ – rather than being essentially subjective i.e. shaped by specific field-patterns of awareness unique to our species – which in turn pattern our perceptual field of awareness or outer perceptual ‘environment’(German Umwelt). Yet as Heidegger acknowledged, there was indeed one biologist – Jacob von Uexküll – who did see through this anthropomorphism and anthropocentrism. Uexküll’s breakthrough lay in recognising that not only did different species of organism inhabit different perceptual environments – they also perceived both their own bodily form and that of all other organisms in quite different ways within that environment. Thus he showed how, for example, a tick, fly, spider, shark or jellyfish would in no way perceive each other’s bodily form or environment – or the form of the human body itself – in the same way that human beings do (let alone perceive the human body as a ‘human’ body). A decisive ‘Achilles’ heel’ or ‘fly in the ointment’ of literalist biology and medicine therefore (and indeed literalist science in general) lies in anthropocentrically ‘privileging’ our own highly species-specific way of subjectively perceiving reality – claiming a greater degree of ‘objective’ reality to it than that of all other species. There is an analogy here to the way in which an adult might give greater validity to experiencing a particular sensation as ‘having an earache’ than the child’s experience of it as ‘an elephant stamping on my ear’. Yet how and by what means can an ear itself ‘ache’ or where can an ‘ache’ ever be found ‘in’ an ear? For an ‘ache’ or ‘pain’ is an essentially subjective experience that cannot be visibly perceived ‘in’ or ‘inside’ anything. It certainly cannot be perceived ‘in’ the body and its organs as they are perceived, even by so-called ‘internal’ examination – which is itself a form of external perception or perception from the outside – and that through our highly species-specific modes of metaphorical perception – perception ‘as’. The biomedical ‘diagnosis’ of illness is an example of a particularly limited mode of perception ‘as’. The patient’s symptoms are perceived solely as signs of some possible disease entity at work ‘in’ their body and ‘causing’ those symptoms. In this way a framework of already signified senses or meanings (possible diagnoses) is superimposed on the sensed significances of those symptoms for the patient themselves – a significance that has to do with the aspects of the patient’s life history, life experience and life world as a whole that their bodily life and symptoms may be giving metaphorical expression to. 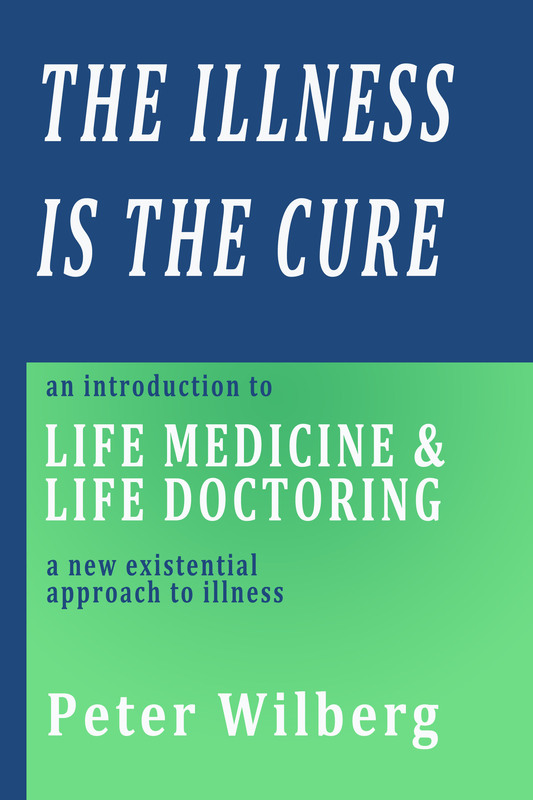 That is why, in contrast to Biological Medicine, what I call ‘Life Medicine’ constitutes a paradigm shift towards a metaphorical understanding of illness – in contrast to a mechanistic ‘causal explanatory’ one. This goes together with an understanding of the human body itself as a living biological language of the human being and no mere biological machine. Language and its metaphoricity thus becomes a new ‘root metaphor’ for understanding both the nature of the human body and thegenesis of illness – which is no longer reduced to an ‘expression’ of an individual’s genes but seen rather as an expression of what have been called ‘memes’ – albeit freshly understood as ‘root metaphors’ central to a patient’s individual way of both metabolising and metaphorising their lives and lived experience. Such individual root metaphors may find expression in both the patient’s life, speech and their symptoms. In his book Meaning-full Disease medical consultant Brian Broom gives a typical example of this, in which the root metaphor is ‘shell’. I was immediately struck by the fact she was presenting to me with a thickened shell of skin and here she was using language to match. I invited further comment, and within the next 3 to 4 minutes she used the words “I went into my shell” 3 times … Moreover she further volunteered in her description of being taken back to her home by a friendly gentleman: “I went inside the four walls of my house, and closed the door, and sat and sat and sat.” In the few weeks following the injury skin thickening developed first in the legs and then became more generalized … Moreover the embarrassing injuries to her face induced social withdrawal. She had actually started to improve by the time I saw her and the possibility existed that this was a response to the drugs she had been on. I enquired of her as to what she felt was the cause of her improvement. She related it to a friend who had come to her and said that she should get active again. She said that she improved again as she started to “come out of my shell.” This “shell” theme was the metaphor she persisted with in both her language and her body. Metaphorical expressions such as ‘going into’, ‘retreating into’ or ‘coming out of’ one’s ‘shell’ are of course not unique inventions of the patient Broom describes, but an accepted idiomatic use of language – certainly in English. Nevertheless Broom ‘hears’ in the word ‘shell’ a root metaphor enabling the story behind this particular patient’s illness and its metaphoricity to “come into view” and be ‘seen’. It is in this sense that the word can here be considered a metaphorical ‘meme’. For though it was embodied by the patient in a highly individual way – through her transforming both her skin and her house into a shell – the word ‘shell’ and all the metaphorical expressions around it are also part of a shared language. Such shared phrases, like what have been called ‘memes’, can be compared to shared genes – and may indeed be ‘inherited’ or ‘borne across’ from them. In this context I think of a client who was aware not just of a tendency to ‘withdraw’ or ‘retreat into’ her own ‘shell’ – but of ‘resigning’ from life in a way her own severely and chronically arthritic mother had done – to the point of becoming bed-ridden for years. This patient too spoke of an experience which she felt had ‘shattered’ her sense of self. Her fears surrounding this – and of following in her mother’s footsteps – were intensified when she began to develop arthritic finger joints on her right hand. For this threatened to severely limit if not eventually end her capacity to practice as a massage therapist, something which was for her an extremely important medium of life fulfilment and contact with others. The fear of losing this important dimension of her life led her to ask ‘herself’ which ‘self’ it was that had this tendency to withdraw or retreat from social contact and communication – and the discovery that it was not ‘her’ true self but rather one formed through identification with her mother. Yet it required the intense fears aroused by the arthritic condition of her fingers – and with it the weakening of her capacity to use her hands in giving massage – to both metaphorically ‘point a finger’ at this issue and at the same time gave her a stronger impulse than ever before to finally ‘get to grips’ with it. Since doing so she has ceased to be troubled by painful finger joints and her hands strengthened – despite her repetitive exercise of the joints in question. This ‘case example’ illustrates two points. 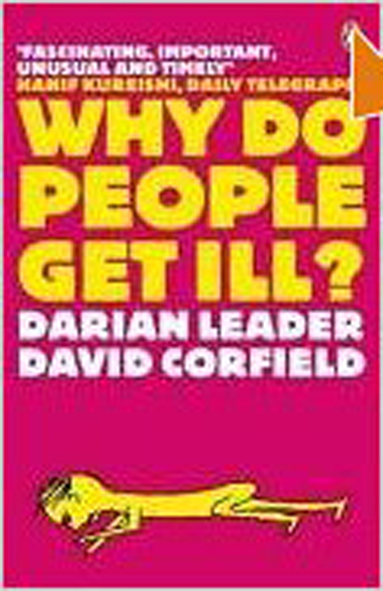 One is that, as Darian Leader points out, the study of the ‘genetic transmission’ of disease does not take fully into account the role played by the ‘trans-generational transmission’ – not of diseases as such but of particular ways of being and relating that leave their ‘imprint’ on the child. This would also explain why in certain cases but not in others a particular disease-related gene finds expression. The example also illustrates the close relation between metaphorical language (‘pointing a finger’, ‘getting to grips with something’) and the nature of disease symptoms themselves as ‘somatic’ or ‘biological’ metaphors – in this case weakened finger joints on that hand, which in right-handed individuals, is generally stronger and also used to ‘point a finger’. What I call a ‘metaphorical meme’ then is a specific metaphorical ‘signifier’ such as a ‘shell’ or ‘finger’ which offers a central link between illness, language and life. It does so through uniting a generally used word or metaphorical expression with both the specific life experience and history of an individual and their ‘expression’ in the genesis of symptoms, whether or not they are thought of as bearing a ‘genetic’ element. For we ‘inherit’ not just ‘genes’ but also ‘memes’ – understood as specific ways of being and specific ways of speaking – of ‘bearing across’ of a meaning. The metaphoricity of body speech and/or illness symptoms consists in the way they simultaneously embody both specific ways of being that we may inherit from or share with others (or a specific other) and specific ways of meaning that find expression through common, imprinted or inherited uses of metaphorical language. Both ways of being and ways of meaning however, are also intrinsically relational – for even withdrawing from social relationships is itself a mode of relating. In the case of the client with the arthritic finger, it was through listening to the intonation and message borne across by her whole way of listening to and speaking with me, that her relation to her father was also brought into view. For the client’s own way of listening and responding in speech appeared to be specifically attuned to anything at all that was said to her that she could possibly interpret as in some way critically ‘pointing a finger’ at her – and thus respond to defensively rather than taking in. Addressing this very point with her she recalled having had a teenage (experience?) of an extremely unjust criticism and hurtfully accusatory ‘finger pointing’ by her father – after which she felt her previously close and warm relationship to him to have been shattered and emptied of any feeling of closeness. Like a key word or finger, an illness symptom does not literally ‘represent’ but metaphorically points us to a whole way of being and of meaning (as reflected in the meaning of the German word for ‘meaning’ (Be-deutung or ‘what is pointed to’). So whether we speak of a central ‘somatic metaphor’, a key metaphorical ‘signifier’ or a ‘metaphorical meme’ the meaning is the same. It is the way in which, in general, illness and its symptoms can metaphorically point us to what are, essentially, unhealthy ways of being and relating – and in this way help ‘cure us’ of them. This is also the subject of my book The Illness is the Cure. Yet as an old Chinese saying goes ‘The wise man points at the moon. The fool looks only at the finger’. The ‘foolishness’ of biological medicine consists of the way it focusses on the pointing finger that is the symptom – and seeks the meaning of what it may be pointing atonly as some form of disease entity (a particularly limiting form of perception ‘as’ which is blind to the dimension of metaphoricity to which the finger points). In the case of Broom’s patient the diagnosis had been some atypical form of ‘connective tissue disease’. Like much medical terminology however, this very diagnostic expression is itself loaded with unseen metaphoricity, pointing us as it does, metaphorically, to the fleshly, linguistic and existential ‘tissues’ of consciousness and experiencing that ‘connect’ us to each other and to the world, and that constitute the ‘metaphoric body’ – the ‘connective’ link between language, life and illness. This final metaphor is perhaps one which comes closest in its language to understanding the body as a language – as the very ‘speech’ (logos) of ‘life’ (bios) itself, albeit a type of speech which is not essentially molecular but metaphorical through and through, and the very essence of ‘biology’. In this context however, Heidegger’s call for “thinking physicians” and his reference to the “bearing of thought” take on a new significance. For even the typically ‘clinical’, intellectually disembodied and literalistic bearing of the professional physician today is a “bearing of thought” in the deeper sense – not just the application of a body of professional knowledge and skills but something that bears itself forth in the bodily comportment of the physician towards their patients, i.e. their bodily way of being and speaking with them – and their embodied capacity or incapacity to truly, i.e. ‘patiently’, ‘bear with’ the ‘patient’. For only through this patient ‘bearing with’ – and not through any rush to some form of diagnosis and treatment – can the physician come to sense a patient’s inwardly felt ‘dis-ease’ and to do so with and within their own inwardly felt body, rather than merely seeing only the outward expression of the patient’s dis-ease in the form of bodily symptoms or signs of some clinically identifiable ‘disease’. 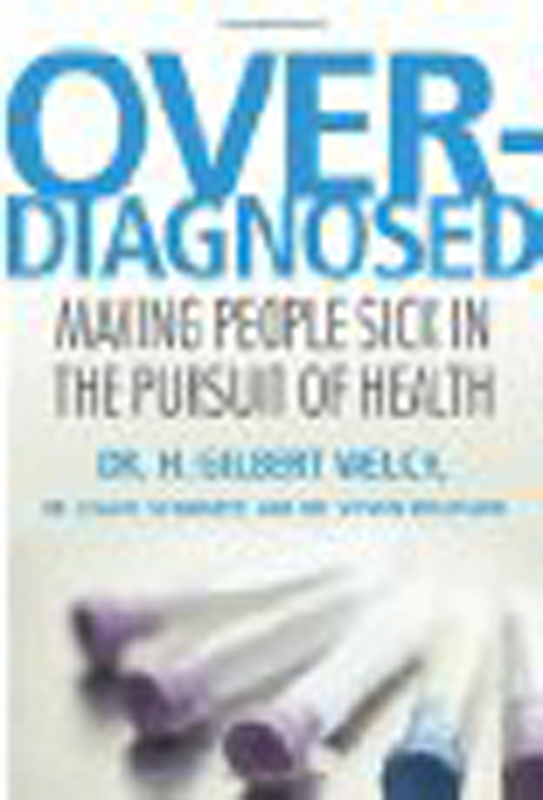 This is also why, in my book entitled ‘The Illness is the Cure’, I stress, as in other writings, the importance of understanding illness as a state of pregnancy and the role of the physician as one of midwife – helping the patient, through the ‘metaphoricity’ of their illness, to give birth to a new ‘inner bearing’ towards the world, other people, life, death – and illness as such.